Planning a new library can be time consuming and if it's your first time, daunting. How high should the shelving be?, How many shelving bays are needed?, What kind of seating is needed? School libraries are where children and young people are inspired to read. If we want children to learn to read well, we must find a way to encourage them to read regularly and that's where the library space, and what's in it, becomes important. 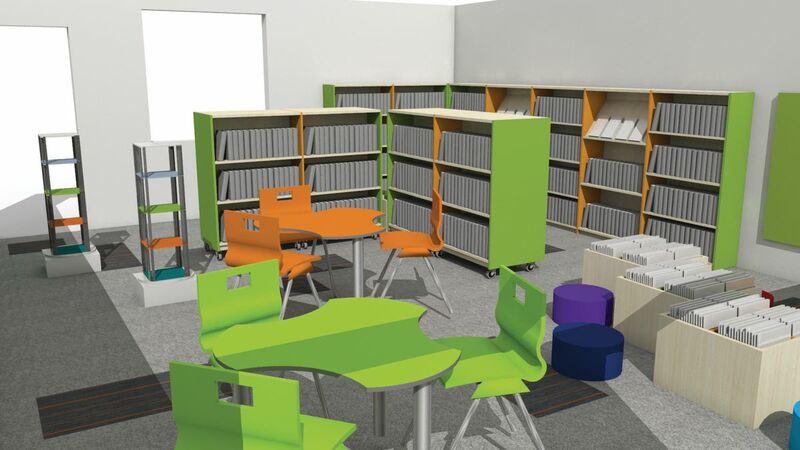 We have taken a typically sized primarry school library space of 45sqm and created a complete library fit-out using products you will find available as part of our great range to take the guesswork out o what you will need in a new library. We have teamed up with our designers at Demco Interiors to plan the layout and our fitters will even come out to put everything together.